Let’s start by taking on that first assertion. Contrary to popular wisdom, people make serious judgments of trust very quickly. Trust is a mix of the rational and the emotional and snap emotional judgments are commonplace. People decide almost instantaneously whether they trust you, without much proof. And there are, in fact, ways that you can help them make a favorable choice, faster. Trust takes focus, effort, and courage, but not time. Think step function, not linear function. 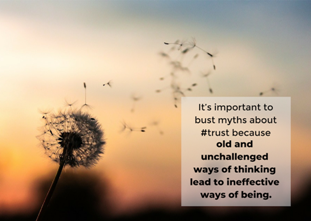 Myth #2: Trust is fragile. When people lose trust in other people or institutions, it is roughly at the same level and pace that trust was built. Where trust is lost quickly, it often wasn’t deep trust to begin with. And when we deeply trust people, we are actually slow and loath to give up on them. Trust is strong and durable, not fragile. Myth #3: Trust is “soft.” Trust is one of those words that, like “love,” gets associated with the squishy side of life. In contrast to a have-to-have hard skill like technical competence, trust gets lumped with the nice-to-haves. Yet consider the story about the global accounting firm that won back an opportunity to work with a very large client through a courageous demonstration—not of intellect, competence, or knowledge … but of empathy. Consider the concrete and tangible outcomes that trust-based relationships make available (repeat business, sole-sourced work, more and better referrals). Consider trust in the context of the bottom line and suddenly we see it as anything but squishy. 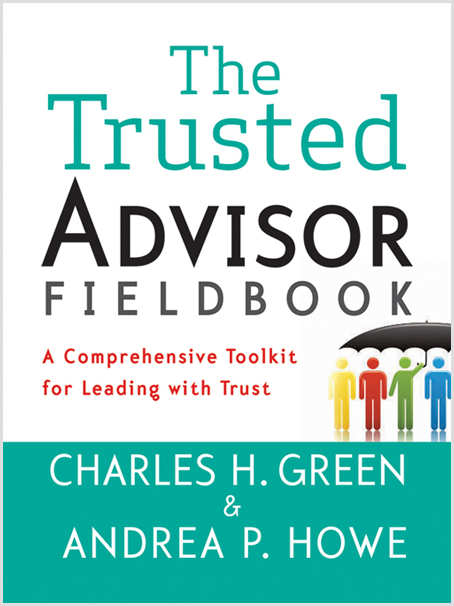 This week, download the worksheet from the end of Chapter 1 of The Trusted Advisor Fieldbook and examine the maxims (and myths) you hold about trust. Which ones serve and which ones don’t? Read about two more trust myths, from our friends at Trusted Advisor Associates, or brush up on the fundamental truths about trust in Chapter 1 of The Trusted Advisor Fieldbook.